The Great Carson Experience – Part 3, fin. Hola Amigos! I know its been a long time since I’ve written, but its been some breathtaking, breakneck work up in the Delta. Thankfully, today I’m sitting in a nicely air conditioned lab at Tulane, trying to get my thoughts together. I’m tempted to write up something synthetic, and sum up my last two weeks in the field, but I think that will be easier said than done. Rather, I think I’ll just try to walk you through my last two weeks in the field, and showcase the work we did. I’ll first present the work from my excavation trenches, and then finally after weeks of delay, present some findings from the sediment coring. I have a lot to write, since I worked everyday from the 16th through the 30th – I am so glad that schedule is finally over. 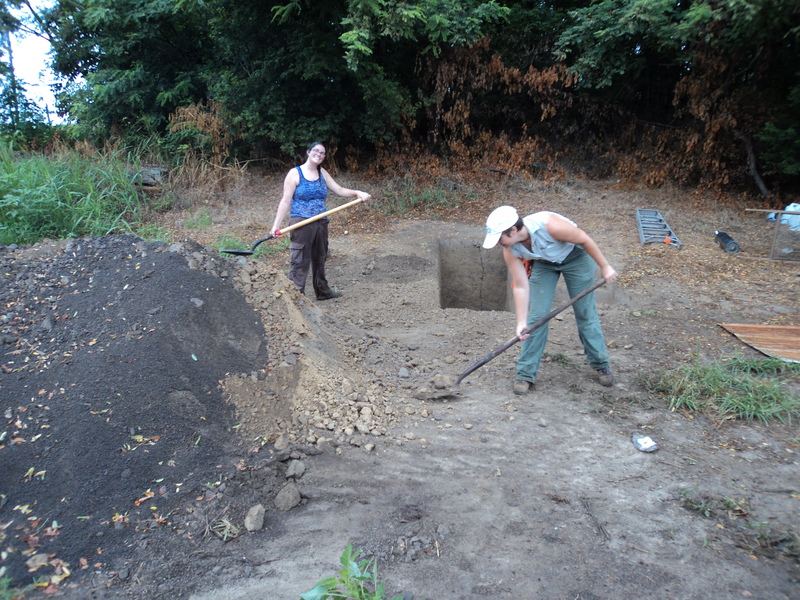 So last time I left off, I was discussing the excavations that Benny and Gena were helping me with in TU3, which was a new unit they opened up and followed down to the level of Feature 1 soils. While Benny and Gena were excavating the unit, we left a balk in place so that I could draw the west profile of TU1 (the adjacent unit) but we ended up taking down that balk after I had a chance to draw it. 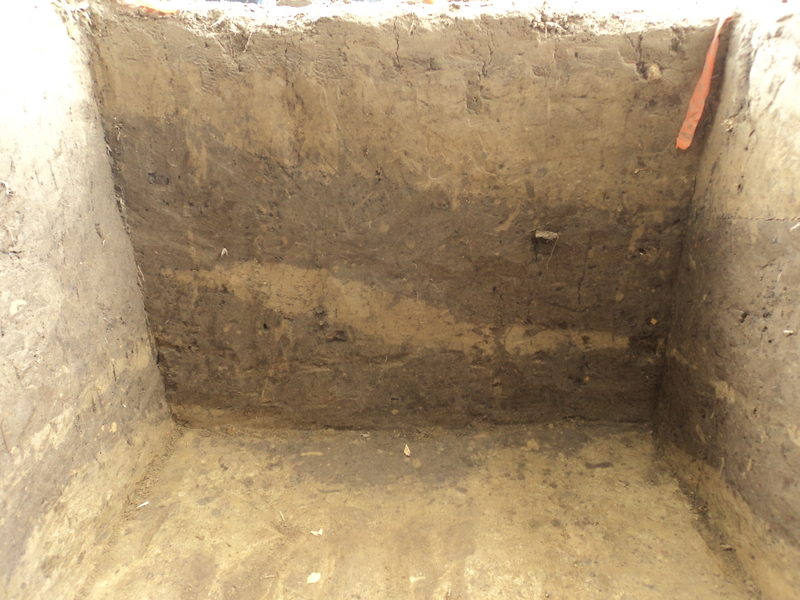 As you can see in the picture below, the darker colored soils I’m calling feature 1 are fairly prominent in the trench. Dan Kirkland, USACE volunteer helping out - F1 soils visible in foreground in TU7. What I found in test units 6 and 7 is that Feature 1 continues as a discrete and well-defined boundary from the surrounding soil matrix (which is mound fill). In test unit 7, it does continue as a straight line across the unit from south to north, and in the north profile of TU7, F1 soils are only a few centimeters below the surface. 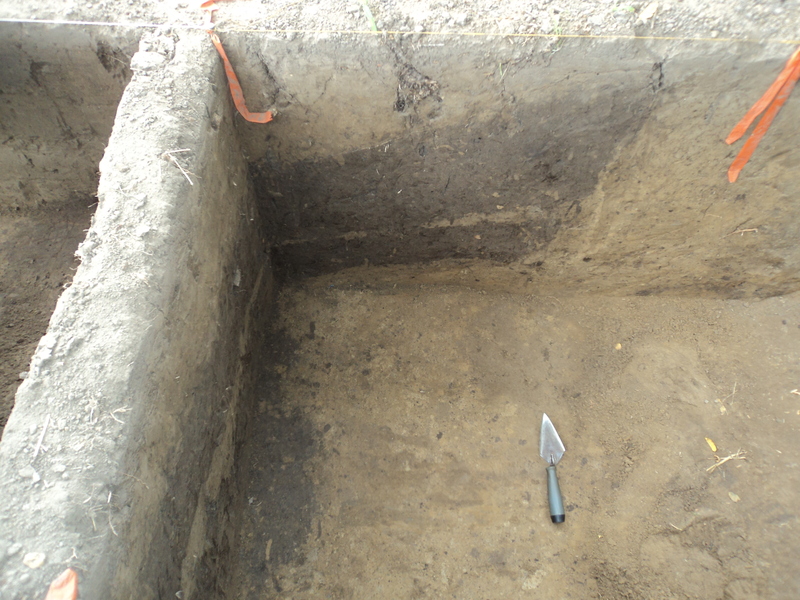 As you can see in the picture below, the darker soils continue on in a line from TU2 – in profile, F1is vertical and separate from the mound fill. TU1L7F1 north wall - TU7 is north of this unit. I didn’t continue to dig test units 6 and 7 any deeper after we found the darker soils, since my goal was to trace out the feature soils. 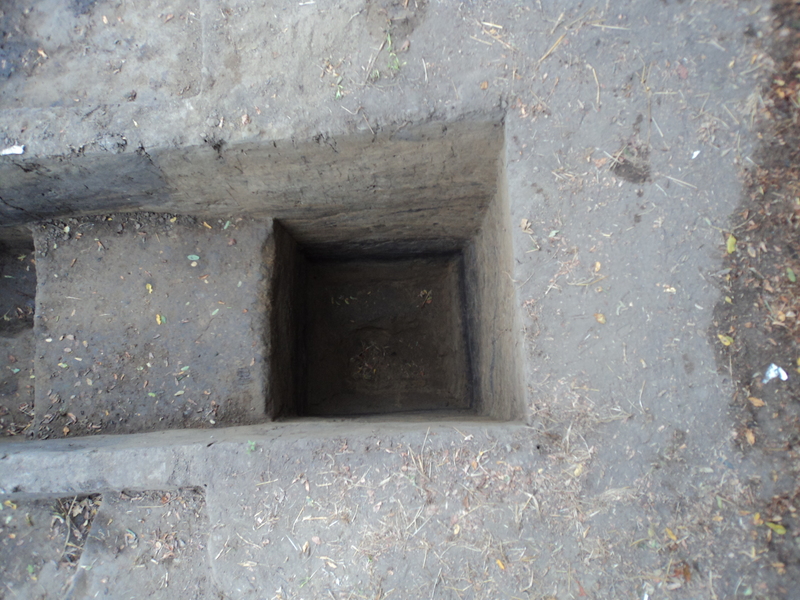 In the picture above, I had Euan dig out TU4 first as a 10 cm arbitrary level down from the surface. 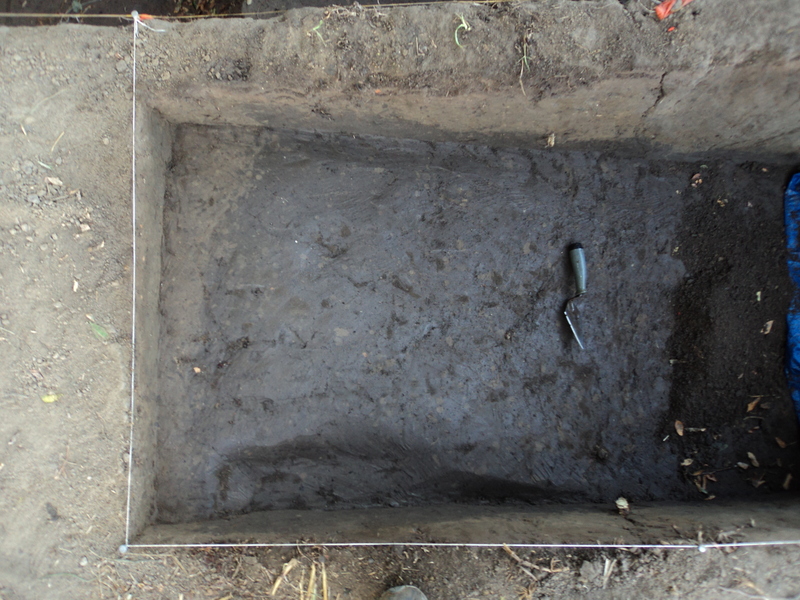 He found feature 1 soils in the unit, and then removed them separately from the mound fill in another 10 cm level – the resulting picture is above. As you can see, feature soils are less prominent in this unit, but indicate the feature may be turning or curving in an arc – at this same level in TU1 and TU7, feature soils are pretty much a straight line north to south in the unit. 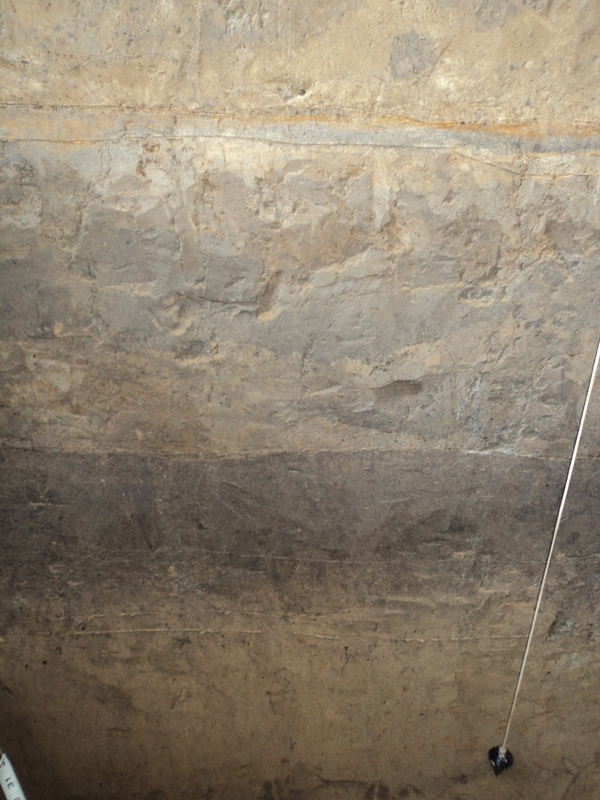 We placed a Giddings hydraulic bore test about 1.5 meters west of TU3 and picked up the same dark feature soils under the mound fill from 89 – 93 centimeters below surface, indicating the feature was thinning out to the west. We also placed another bore test about 1 meter directly south of the previously mentioned bore and did not detect any feature soils, suggesting at least there are some limits to this feature. Now, what is this feature? Well, it is defined from the rest of the mound by a discreet boundary along the horizontal plane as seen in test units 1, 7, and 4. It has a vertical boundary as well in 1, 7, and 4, that pretty much suggests it was likely dug into the mound fill at some point after the mound was built, since there is fill over it as well. 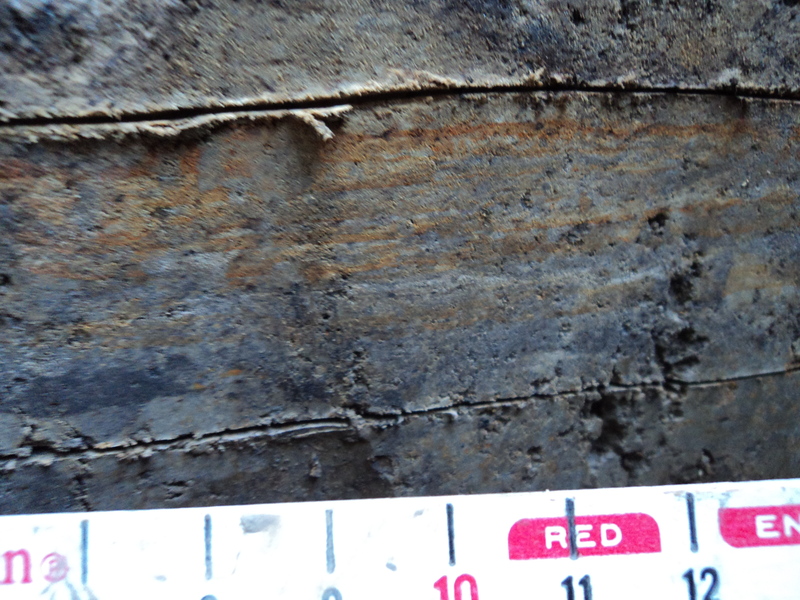 As shown in the profile photos above for TU5, TU3, and TU1, these darker soils are present in all the walls with bands of lighter colored sediment in between. These bands of sediment could represent differential fill episodes for a pit, or they could be sheet loading for mound construction (but I don’t think for the current form of mound D, perhaps an earlier mound that was taken down). I have yet to analyze the ceramics I recovered from both fill and feature soil, so right now its just a waiting game. 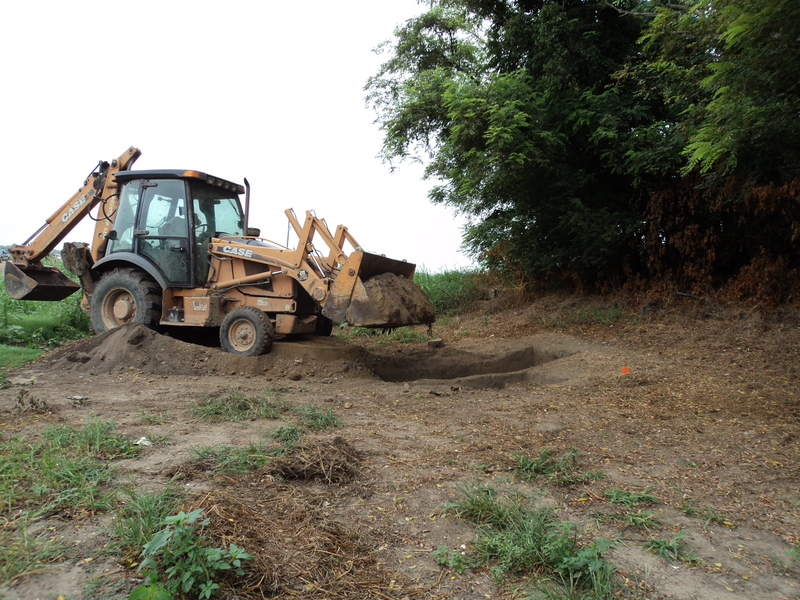 In addition to tracing out feature soils, we also continued excavations in TU2 in an effort to excavate down to the buried A below the mound, and to identify the sands that were below it (crevasse/flood sands or natural levee sands). 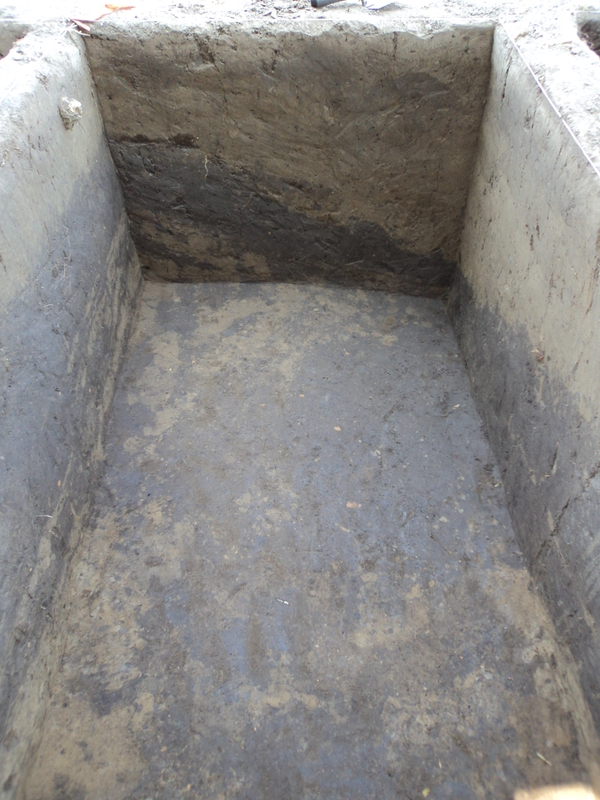 TU2 was excavated approximately 2.5 cmbs surface, and as you can see in the picture below, it was a deep unit. 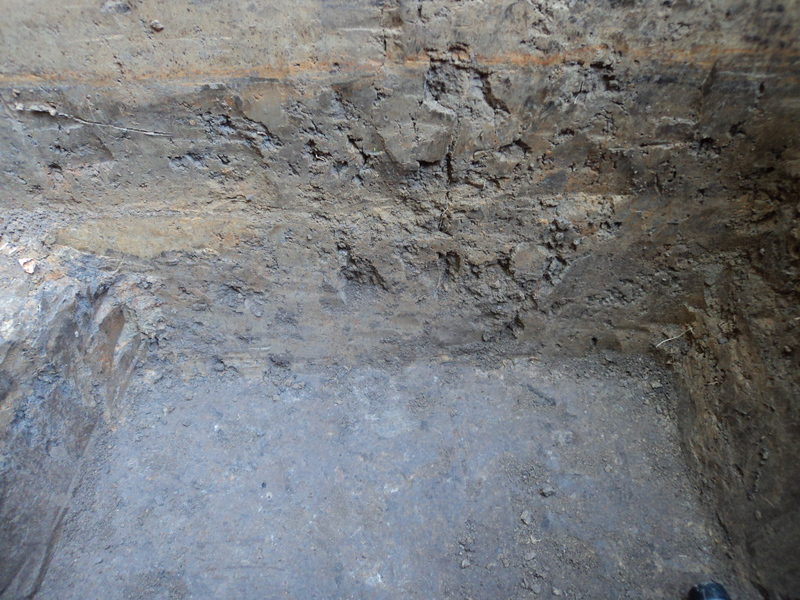 This unit took approximately 8 levels to excavate – the most interesting stratigraphic levels were a heavily redoximorphic layer which formed because of an anthropic clay platform underneath it, and the buried A horizon underneath the clay platform. Basically, the sequence from bottom to top was like this – natural levee sands, a slit loam buried A horizon, a clay platform, then mound fill over that to the surface. 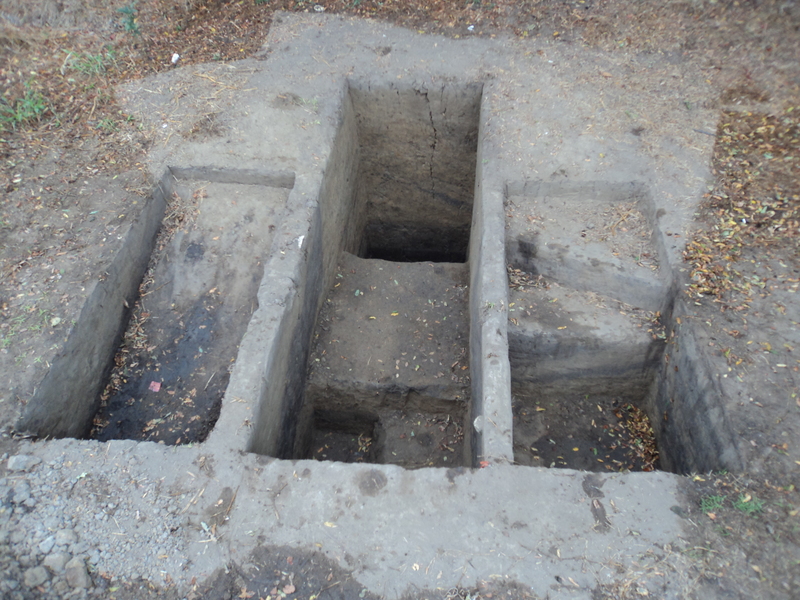 TU2L7 - what the photo in profile shows is the buried A at the bottom, then a clay platform, over which is a layer of iron which has preciptated out of solution. It rests over the clay platform because water could not penetrate the clay. 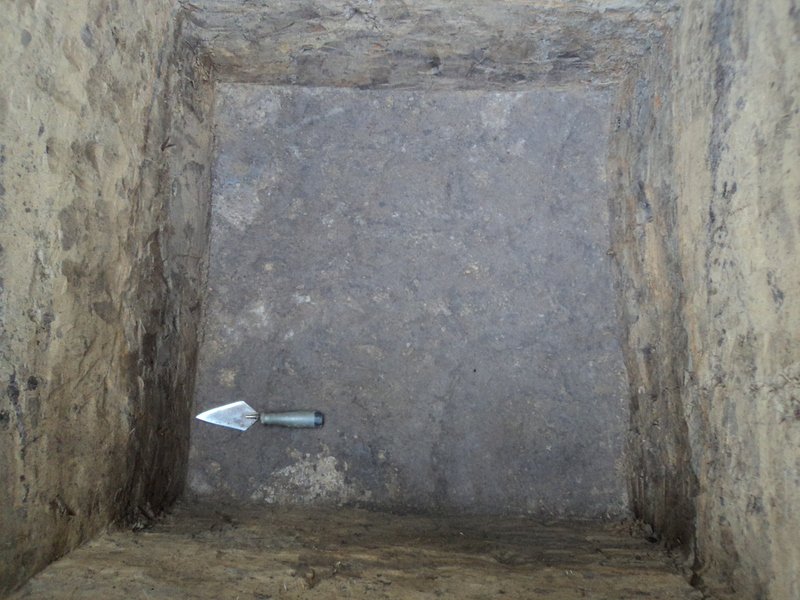 The picture below is an excellent example of the lower stratigraphy in TU2 – the plumb bob in the picture is resting right against levee sands. 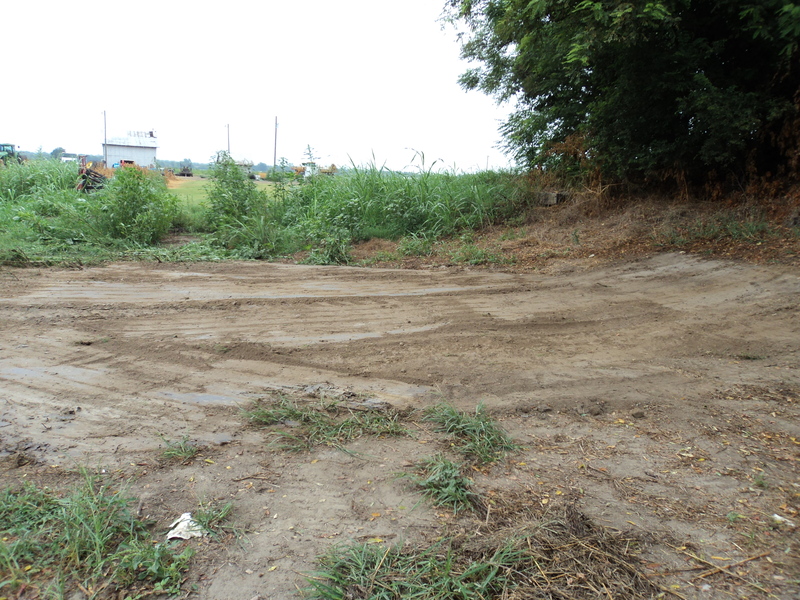 I think it is very likely that the buried A, the transitional zone below it, and the levee sands all comprise a natural soil sequence from A to A/B to Bt to levee sands (often called C material in the Delta although they really arent parent materials). The presence of an elluvial zone below the A suggests to me these soils formed in place. 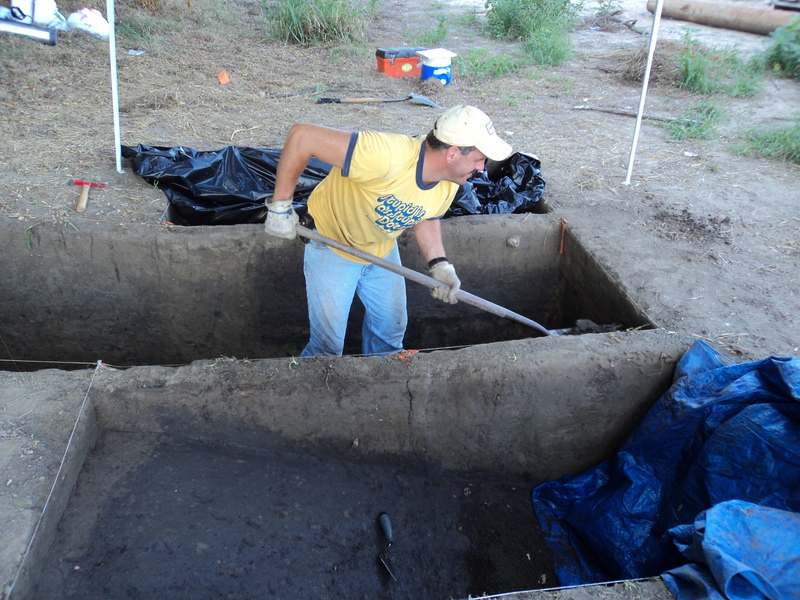 I also like the picture below because it shows how mound building occurred as sheet deposits over the clay platform. Well, what I didn’t find in my trench or in more cores going out west away from Mound D is any good evidence of a recent crevasse associated with mound building. If I had found such a deposit, I could have dated it using OSL to get a minimum date of the mound. 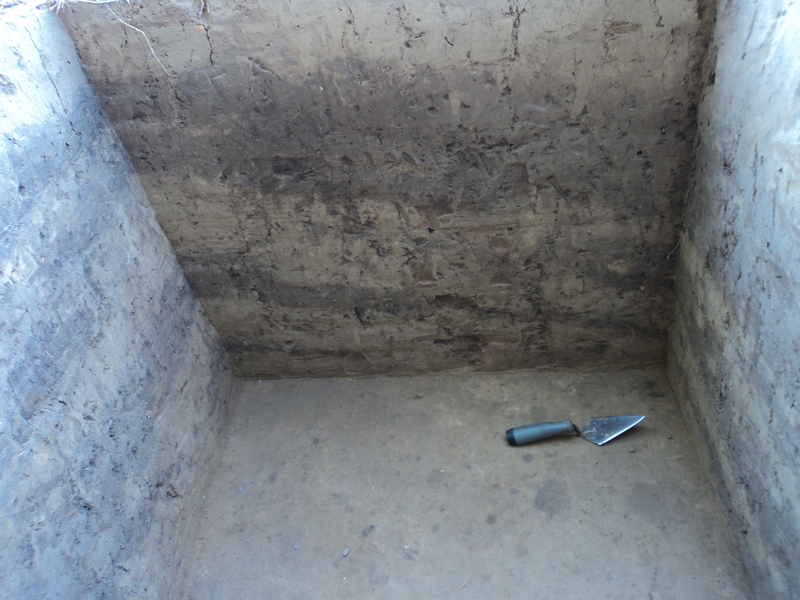 I did collect an OSL sample of the interface between the dark silt loam of the buried A (for which I also have carbon for AMS) and the clay platform above it, and also from the interface between the redoxic layer and the mound fill above it. 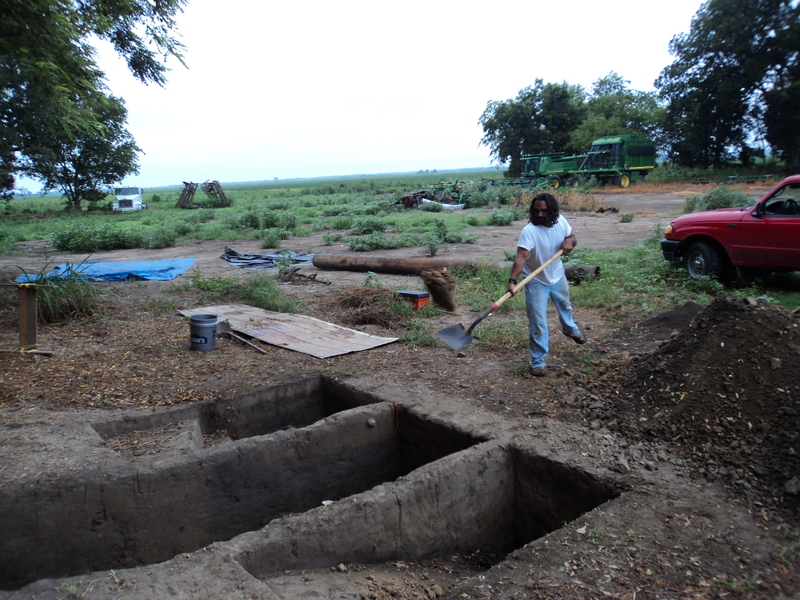 These samples I think will help me get a better understanding of when mound building began. 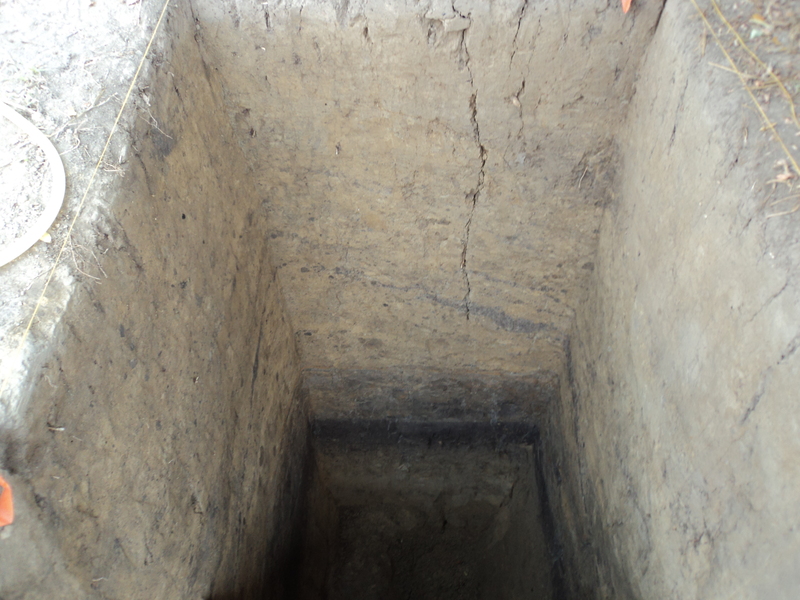 We were able to excavate a core from the summit of the mound down to the buried A, which took approximately 6 meters. Unfortunately, the clay platform does not appear to extend all the way under the mound, suggesting it might be unrelated to mound construction (although it is definitely anthropic given they way it appears as mixed, heterogeneous fill). 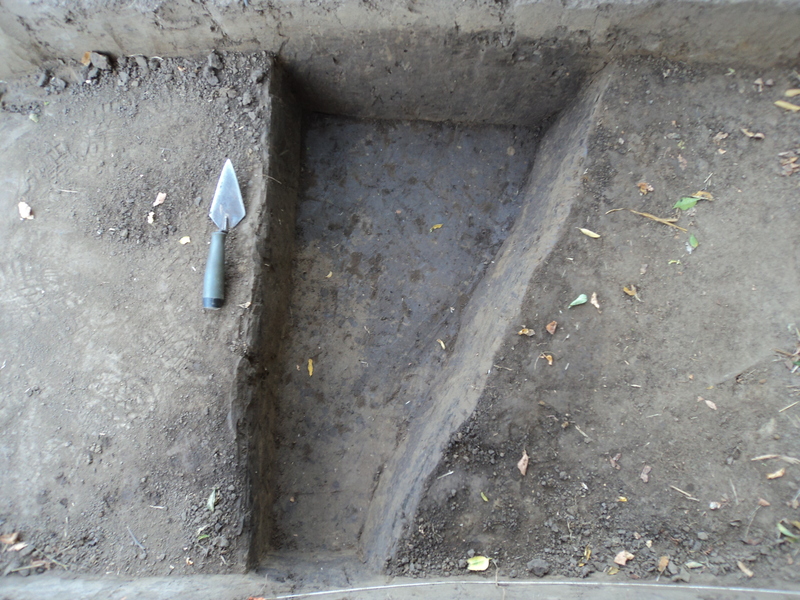 There is evidence for a similar clay platform underneath mound C at Carson. Oh the end of the season! A lot of people deserve recognition for the hard work they put in on this project, and for the help they’ve given me, both out in the field, and in the lab – here they are in no particular order – Rachel Stout Evans, John Connaway, Jay Johnson, Jenna James, Euan Williams, Benny and Gena Roberts, Dan Kirkland, Bill Latham, Vernon, Haley Holt, Chris Rodning, Sherman Horn, Bryan Haley, the Archaeological Conservancy (Jessica and George), David (the farm manager), David Abbott, and Pam Lieb.